The reds were beckoning from my Helmer last night. 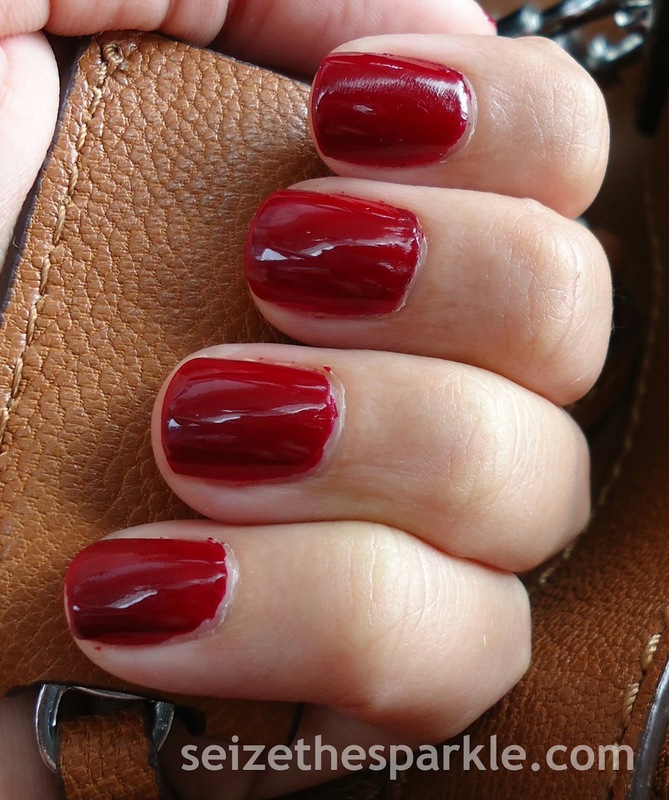 Rather than go with another bright and summery red shade, I chose a gorgeous vampy red that's perfect for fall! Fall is creeping closer day by day, and it's just starting to FEEL like Fall, you know? The humidity has worn off a little bit, the nights are cooler, July came and went... How crazy is it that today is the first day of August? Unreal. I was in the biggest mood for red polish last night, for whatever reason. So, I narrowed down my choices to 3 shades of red, finally settling on Ravishing Dah-ling by China Glaze. China Glaze has a great formula, and Ravishing Dah-ling is no exception. 2 coats were a slightly brighter red, but I used 3 to completely even this manicure out, resulting in the blood-red color in the photos. It's a great shade that I think any skin tone can pull off. The best part? The red makes it simple and classic, but the blood-red shade gives it an edge. Definitely a must-have for your collection! What do you think of Ravishing Dah-ling?